We generally tend to believe that if something is around for quite a long time, having a lot of employees and has a great revenue, then it's definitely not a scam. And if we take a look at Vector Marketing, it perfectly fits this description. It has been around for about forty years, it has more than 5,000 employees and has around $250 million revenue. So, is Vector Marketing a scam? Let's figure it out without further ado. 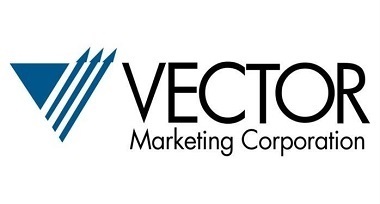 Vector Marketing is a company that sells kitchen cutlery and tools, as well as sporting knives. It has been around since 1981, and while selling knives door to door may seem way too oldish, Vector Marketing is quite successful in the 21st century. If you've been approached in any way and offered to buy kitchen knives, most likely that was Vector Marketing's employees. They are selling Cutco knife block sets with a guarantee of free sharpening anytime. Their sets may include from 4 up to 32 items, and they are of great quality. The company hires sales representatives to sell their cutlery products. Upon learning all that, one may start wondering "Where all that Vector Marketing Cutco scam stories are coming from? ", as everything seems quite legit. Selling knives that almost every cook and housewife would like to have in the kitchen doesn't sound like scam. Well, it turns out that you don't have to look any further than Vector Marketing website to learn why this company is considered a scam. After reading that you may have a desire to go to their site to see some signs that may indicate that Vector Marketing is a scam, but you won't find that there. There are no hinting, the company simply lays bare why people think it is a scam. Basically, if you Google "Vector Marketing scam" the first link that going to appear in the search results will lead to the company's site. So, let's check out why people think that Vector Marketing is a scam. As we've already said the Vector Marketing has an explanation on their site why people think of the company being a scam. Before going into explaining why it is considered a scam, the company assures that it is not. According to the site, a lot of people consider it to be a scam, as it is "get-rich-quick" pyramid, which it claims to be not. Going through the myths that company is busting on their site, we learn that mainly Vector Marketing is considered to be a scam because of their attitude towards their reps. The company claims that the truth is that the hire reps, that reps can pick their own schedule, and that their employees get paid on regular basis. Another reason, according to the site, why people consider Vector Marketing to be scam is that the training of prospective sales representatives is unpaid. The company claims that it cannot be considered a scam for that, as a lot of companies practice the unpaid training for their prospective employees. Last but not least, the company is considered a scam as it is MLM, which according to company's site it is not. While the company claims that it is not a scam, between 1990 and 2017 it has been sued at least eight times. The company has been frequently sued for deceptive recruiting techniques and for not paying minimum wages to their sales representatives. One of the company's sales was raped during the appointment with a client, after which she sued the company for not providing training to prevent situations like that. Despite claims that the company cannot be considered a scam because of the unpaid training, Vector Marketing had to settle for almost $7 million in a class-action lawsuit filed by sales representatives for attending trainings without being paid. One of the class-action lawsuits for not paying minimum wages was settled for $13 million. Things are getting worse when you check complaints of Vector Marketing's employees. Upon checking the complaints the very first thing that stands out is that the company is mainly targeting ten and twenty-years-old people as prospective sales representatives. Most of the company's ads offer people a salary between $15 to $20 per hour, which sounds quite suggestive, if you are gullible enough not to realize that is sounds suspicious. This more than suggestive salary turns out to be a myth, according to employees' complaints. Sales representatives are not paid $15 per hour, but $15 for an appointments, which may ultimately not happen at all. Another complaint concerns the fact that Vector Marketing sales representatives are forced to use their personal phones for sales calls. Moreover, prospective sales representatives are asked to find all the contacts of their teachers and professors, who may be interested in buying Cutco products. One of the former employees complained that she has been paid for her first week of work, but despite successfully accomplishing more appoints the next week, she has not been paid. The manager justified her not being paid by the fact that appointment form takes a few days to be processed. But the employee hadn't been paid even after three weeks. So, Is Vector Marketing a Scam? The right question is not whether the company is a scam or not, but rather what is Vector Marketing scam? When we think about scam companies, tricking customers is the first thing that pop-ups in a head. In this terms, Vector Marketing is not a scam company. But considering their recruiting techniques and their employees experiences, Vector Marketing is a typical job scam. Is a company who's hunting on gullible students who are desperate for work, and it all ends up with people not being paid what they've been promised. All in all, while we cannot claim that you can't earn some extra money while working for Vector Marketing, there are definitely other ways to do that. There are other works that offer passive income, where you won't have to engage into 1930ish door to door knife selling.